AXA Go will provide Chinese travelers with an optimized customer journey & offer several services to consumers, such as buying and planning appropriate insurance coverage via WeChat Pay. AXA Partners, the global insurer’s digital partnership arm, is reportedly partnering with messaging & e-commerce company WeChat to develop a mini program to offer travel insurance services in China. Apparently, the ‘AXA Go’ mini program that is managed by the firm AXA Tianping P&C Insurance, is completely integrated into the WeChat Go ecosystem & offers travel insurance & one-stop-shop extended services to Chinese travelers. As per an official statement from AXA, AXA Go will provide Chinese travelers with an optimized customer journey & offer several services to consumers, such as buying and planning appropriate insurance coverage via WeChat Pay before starting the journey. While traveling, AXA Go will provide 24/7, one-click, global emergency access to services of AXA Assistance such as repatriation, and hospital admission, in addition to offering access to AXA customer service to benefit from helpful information regarding destination, including traveler safety alerts. Seemingly, after the trip is over, users can apply for paperless end-to-end claims, and also earn points in the AXA Go membership program. Jérôme Itty, CEO, AXA Partners Asia, was reportedly quoted stating that the firm is proud to provide Chinese travelers with exclusive, on-demand access to travel insurance, assistance, & other key travel services, through the convenience of the AXA Go mini program on the platform WeChat. The innovative & unique AXA Go mini program, which is completely aligned with AXA’s payer-to-partner strategy, will aid WeChat to enrich their customer experience. AXA, a French multinational insurance company headquartered in Paris, engages in investment management, global insurance, & other financial services. Apparently, the AXA Group operates mainly in North America, Western Europe, the Middle East, and the Asia Pacific region, with some presence in Africa as well. WeChat, developed by Tencent, is a Chinese multi-purpose social media, messaging, & mobile payment application. 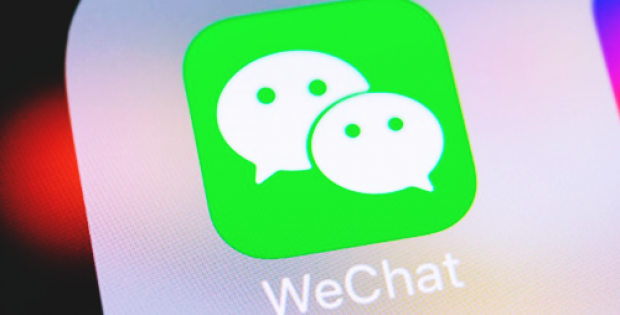 WeChat was first released in the year 2011, and by 2018, it was tagged as one of the world’s biggest standalone mobile applications, with over 1 billion monthly active users.